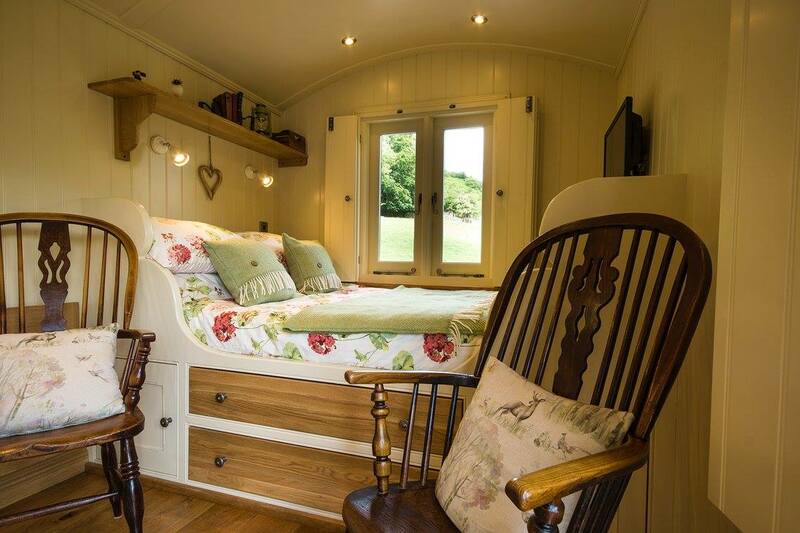 Haddy’s Hut is a cosy bolt hole for 2 people on Oaker Farm in Derbyshire. Our glamping site is an ideal base for exploring Derbyshire and the Peak District National Park. We are within easy reach of attractions, places of interest, shops, pubs and restaurants. Our nearest village is Hope which is less than a 10 minute drive from Caslteton. 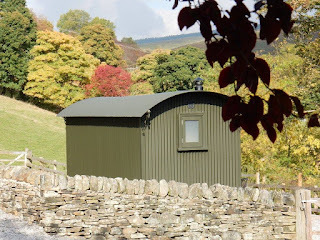 Our hut has been finished to a very high standard and is a spacious & airy handcrafted shepherd’s hut. It has been designed to offer unique glamping accommodation whilst still benefiting from modern day comforts.